Here at Uncensored, we put family and friends ahead of business and profit: If a family member is ill or in distress, business can wait and money can be regained, but people can’t. There is an over-used saying in the business world that “No one is irreplaceable”. Utter bull. There are more than 7 billion humans currently extant, and no two are the same. Fred Hollows, a man who specialised in restoring sight to those blinded by eye ailments in poverty stricken environments, once said that he believed a basic attribute of humanity is that we look after each other. What can be said then of investment bankers Goldman Sachs? 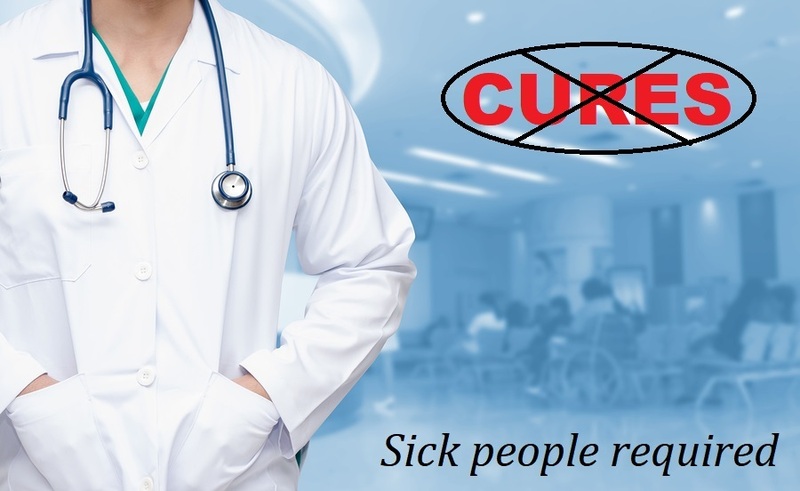 A report in the latest issue of Uncensored Magazine caught my attention because it indicated that Goldman Sachs were advising their Biotech clients to put profit ahead of cures. In the grand scheme of things, prolonging the suffering and misery of patients is detrimental to the prosperity of society in the main. A happy, healthy cured person is more likely to be constructively contributing to society. But of course that doesn’t help Big Pharma, does it? Investment banking giant Goldman Sachs is reportedly asking some very cold questions about the healthcare industry and whether it’s a good business move to cure diseases. Matt Yurus reports.